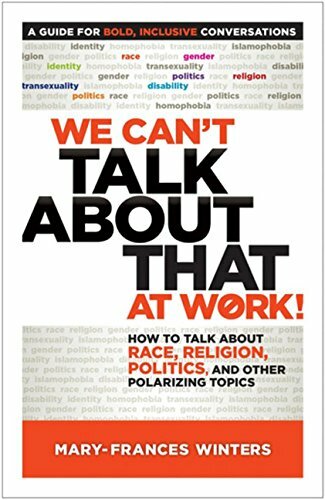 Conversations about taboo topics happen at work every day. And if they aren't handled effectively, they can become polarizing and divisive, impacting productivity, engagement, retention, teamwork, and even employees' sense of safety in the workplace. In this concise and powerful book, Mary-Frances Winters shows how to deal with sensitive subjects in a way that brings people together instead of driving them apart. She helps you become aware of the role culture plays in shaping people's perceptions, habits, and communication styles and gives detailed guidance for structuring conversations about those things we're not supposed to talk about.